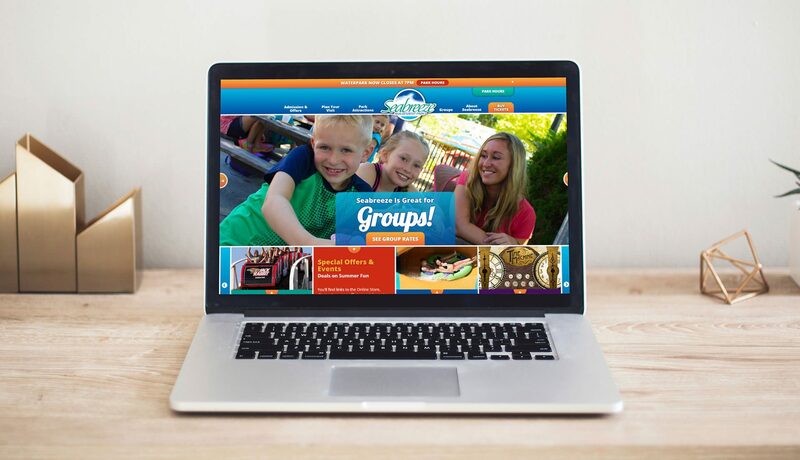 A new website design project for a first class amusement park in Rochester, NY put the focus on boosting ticket sales. 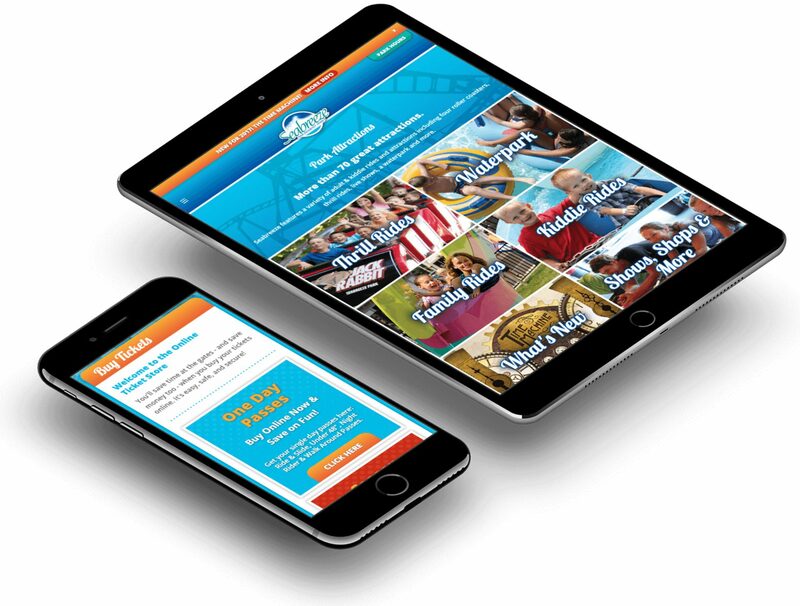 Seabreeze draws visitors in with a refreshing and modern homepage featuring a strong call-to-action, engaging photography, animation, and an alert bar feature to highlight important announcements. Having a strong mobile framework is key to staying on top of consumer's needs and providing more useful, personal interactions. Making the path to purchase faster for consumers is essential to ensure a brand's success in the future. The addition of a "Buy Tickets" and grid layouts aid navigation and target audiences across all devices. A dynamic homepage with interesting custom photography can be further elevated with the use of subtly animated details. 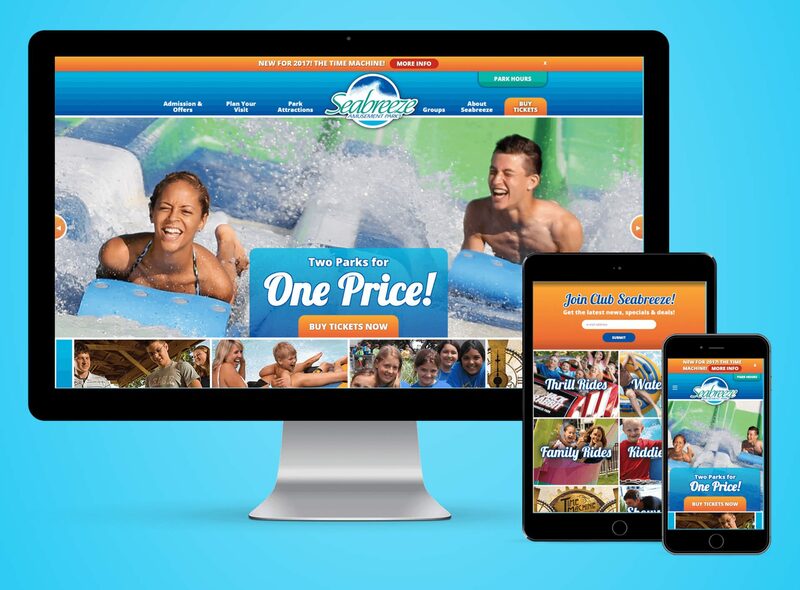 Photo sliders and information boxes that "slide" up add visual interest and ramp up the fun of amusement park websites.